For the first decade after its invention, the General Atomics Predator drone was a special weapon. The CIA and the U.S. Air Force possessed just a handful of the 27-foot-long unmanned aerial vehicles, which can fly for 12 hours or more, scanning with cameras—and even firing at targets with lightweight Hellfire missiles. By 2011, the drone fleet had expanded more than tenfold—and so had the community of pilots, sensor operators, analysts and maintainers that fix and fly the robots and disseminate the resulting video imagery. The drone air force grew fast—but not fast enough. As demand outstripped supply, the Air Force yanked pilots from the cockpits of their supersonic F-15 and F-16 fighter jets and forced them to sit in trailers in Nevada, from where they steered flimsy robots via satellite. These involuntary robot operators didn’t get many days off. And they had little chance of ever returning to their beloved fighters. Drone crews became so unhappy that, in one chilling moment in late 2005 or early 2006, a group of Predator operators actually booed their commander. “They were just so bitter and so angry,” the commander said, according to a redacted U.S. Air Force official history that War Is Boring obtained via a Freedom of Information Act request. The Iraq and Afghanistan wars fueled the seemingly limitless need for what had been a niche robotic system. The twin U.S.-led invasions sparked violent and popular insurgencies. American troops struggled to separate enemy fighters from innocent civilians in Iraq’s teeming cities and Afghanistan’s lush farming valleys. Not to mention, the CIA and military also deployed the propeller-driven UAVs over Somalia, Yemen, The Philippines and other conflict zones. The military needed drones. Lots of drones. Demand for Predators skyrocketed starting around 2004. 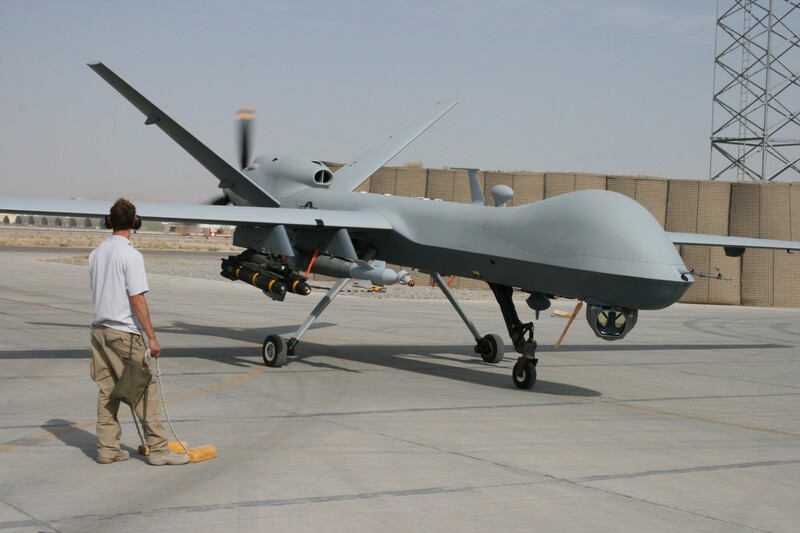 Soon the Pentagon ordered the Air Force to keep 65 Predators or larger Reapers on station at any given time. The flying branch refers to each on-station drone as a “Combat Air Patrol,” or CAP. Normally, a CAP includes four drones. One is in the air over the target area. Another is en route to replace it when its fuel runs out. The other two machines are in maintenance. To meet the 65-CAP requirement, the Air Force began acquiring hundreds of drones, which can cost between $5 million and $17 million per copy. “We’re going to tell General Atomics to build every Predator they can possibly build,” Air Force Gen. John Jumper, then the flying branch’s top officer, said in 2007. But a CAP also needs people—186 people, to be exact. Fifty-nine people launch, land and repair the Predators at airfields near the actual combat zones, in places such as Afghanistan, Pakistan and Djibouti. Forty-five CAP members live and work at an air base in the United States, flying the drones via Ku-band satellite. Another 82 people scattered across the U.S. pore over the video imagery the robots acquire and forward it onward to intelligence officials and front-line commanders. 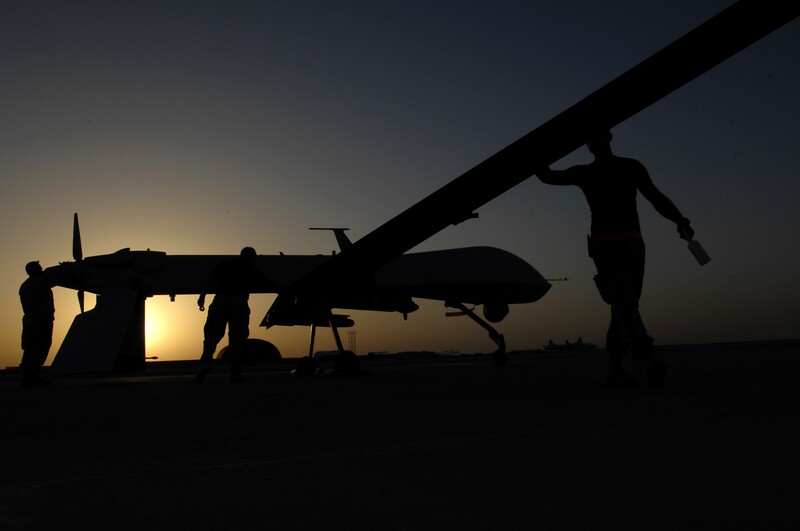 In the span of just a few years, the Air Force went from employing only a few hundred drone operators, analysts and maintainers to needing tens of thousands of them. “When [Air Combat Command’s] fledgling Predator force began flying CAPs in Afghanistan and Iraq in 2004 and 2005, most of the pilots had been hand-picked volunteers from manned aircraft,” according to the redacted history. Worse, many drone commanders treated their crews like virtual prisoners. In fighter, bomber and airlift squadrons, crews stick together—pilots, navigators and engineers working as a small team for months or years at a time, often on the same plane. They compete in friendly competitions with other crews and wear special patches on their uniforms. In short, they create a culture. And the Air Force lets them do it. Not so in the drone units, however—early on, leaders seemed to expect the crews to function ceaselessly and without complaining. Just like, well, robots. And sitting in some trailer potentially thousands of miles from the war zone their UAVs were patrolling, the operators seldom had any idea whether their hard work even mattered. Commanders didn’t routinely brief the crews about the missions they were supporting. Were they helping to protect a vital supply convoy? Safeguard a base full of sleeping soldiers? Find and kill a dangerous insurgent leader? The drone crews didn’t really know, because no one told them. In late 2005 and early 2006, “morale was awful,” the commander admitted. And that’s when his assembled pilots, sensor operators and maintainers actually booed him during a meeting. The drone air force had struck rock bottom. Desperate to avoid mutiny, the Air Force introduced sweeping reforms. Drone commanders allowed crews to stick together as cohesive “flights”—and encouraged the flights to compete with each other. One officer “knew things had begun to turn around when crews asked him if they could rename their flights and start wearing morale patches on their flight suits,” the history explains. 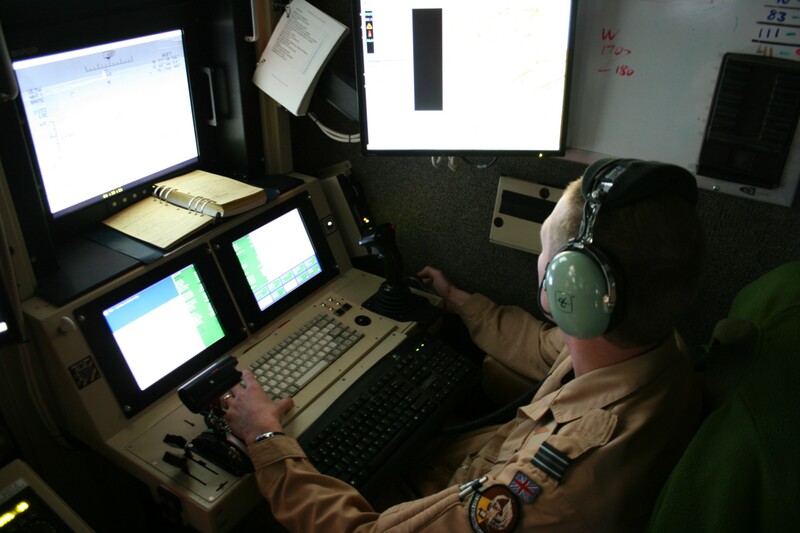 In 2010, the Air Force began allowing some of the involuntary drone pilots to leave their robot units and return to flying manned airplanes. Separately, the flying branch invited officers and enlistees to train as drone crews from the beginning of their careers. In that way, the Air Force attracted people who actually wanted to work with robots. It was a close-run thing, but the Air Force saved its burgeoning drone squadrons. Today the flying branch maintains its 65 on-station drones in Afghanistan, Iraq, Syria and other war zones without prying pilots from their F-16s, without depriving them of days off … and without a lot of booing.